Tree down Large tree came down in the rain Sunday. Hit two cars and road is still impassable. This is on the east side of Dallas in the White Rock Lake/Casa Linda area. 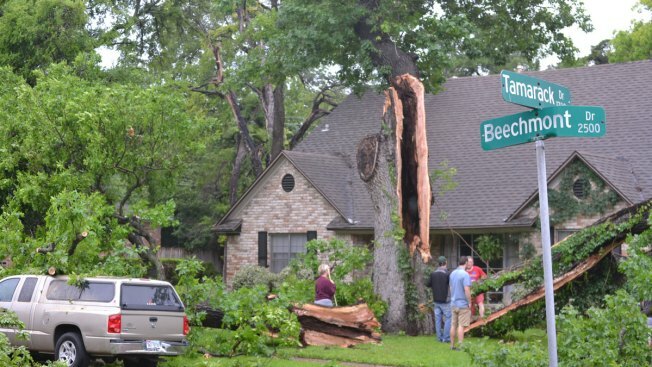 Strong to severe storms moved into North Texas early Monday morning bringing rain, lightning and high winds and power outages. NBC 5 Meteorologist Grant Johnston warned that wind gusts up to 60mph could cause broken limbs and create power outages. Oncor's storm center online showed more than 5,000 outages across North Texas.